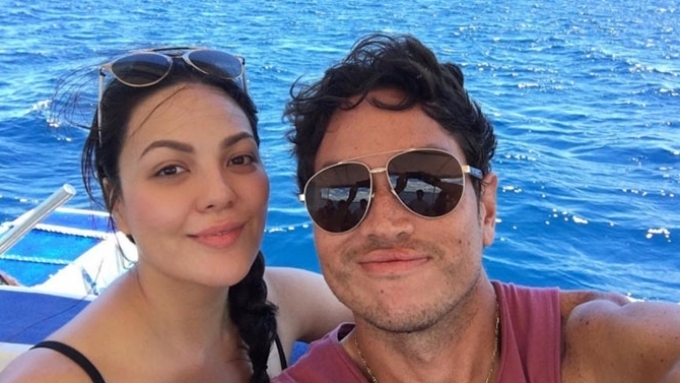 KC Concepcion and beau Aly Borromeo spent the weekend in Palawan to celebrate the actress' 32nd birthday. To beat the heat, KC Concepcion celebrated her birthday in Coron, Palawan. The actress, who turned 32 last April 7, flew with her beau Aly Borromeo, the latter's younger sister Annie, photographer Mark Nicdao, Cristalle Belo and hubby Justin Pitt. On Instagram, she wrote, "Palawan you make me fall for you over and over again!!! #KCsParadise"
KC's squad stayed at Club Paradise Resort, which has an average rate ranging from PHP10,711 to PHP20,722 for a standard room. The birthday girl gushed, "Not a single moment wasted at @clubparadisepalawan with this bunch!!!" Her caption: "When the big kids go out to play." The resort has a beautiful sandbar, long beach front, and cool lounge bar area. They also bumped into Georgina Wilson and her cute baby boy Archie. The birthday girl posted, "So happy to see the radiant new mom @ilovegeorgina and meet her adorable son, baby blue eyes, Archie!